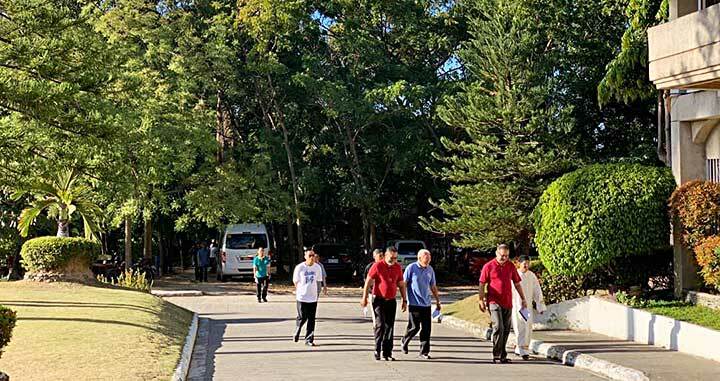 Lawaan, Cebu, the Philippines, 23 March 2019 -- The 9th Provincial Chapter of the FIS (Philippines South – Pakistan) province of Mary Help of Christians was held in Don Bosco Retreat House (Lawaan, Talisay City – Cebu) from March 10 to March 16, 2019, presided over by the Provincial Fr Godofredo Atienza and moderated by Fr Fidel Orendain, SC Delegate of the province. 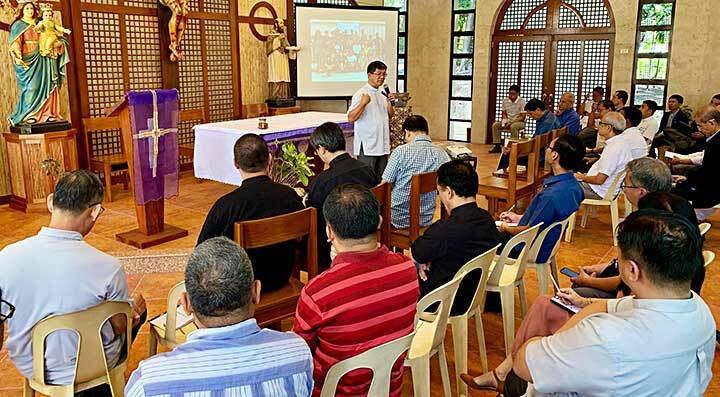 Besides the 35 SDB delegates (rectors and representatives from the local and provincial community) observers were also present: a few members of the Salesian Family (FMA Sister, ADMA member, Alumnus and Salesian Cooperator) and one Lay mission partner (PDO) as well the FIN provincial chapter moderator Fr Joel Camaya. 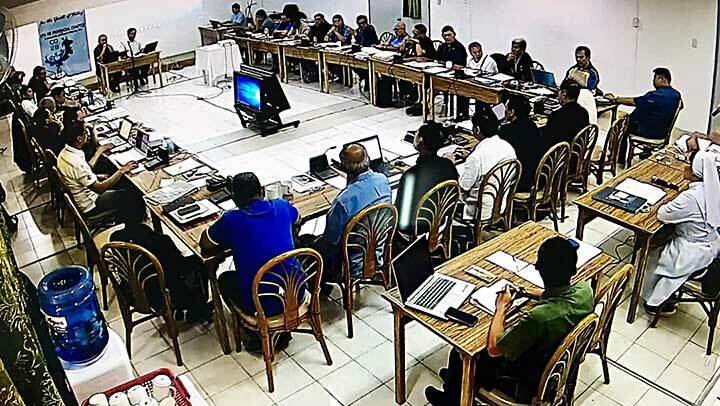 The main theme of the GC28 ‘What kind of Salesians for the young people of today?’ was already reflected with passion in the six preparatory meetings within the local communities and the Report on the state of the province was shared between the Provincial and respective sector delegates. 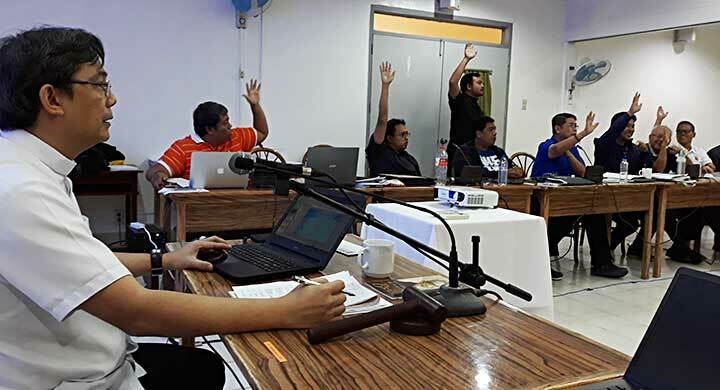 On the last day, the Province delegate to the GC28 (Fr Fidel Orendain) and his substitute were elected. 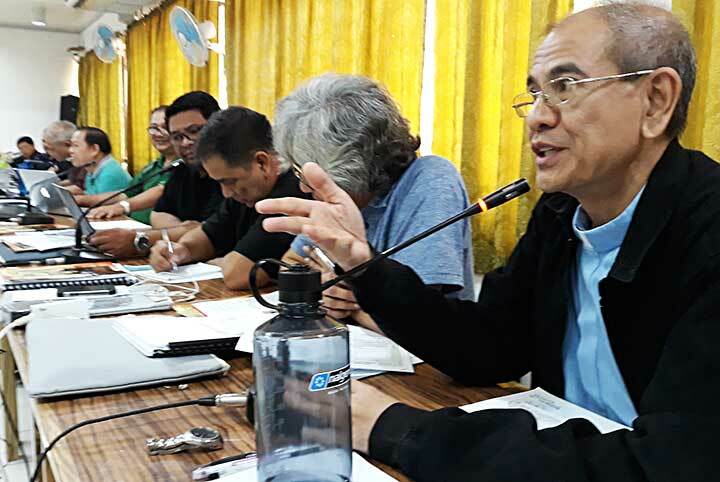 The PC recollection was guided by Fr Renato De Guzman, participant in the 2018 Synod of Bishops (Youth – Faith – Vocation Discernment) who raised awareness of the connection between the movement in the Universal Church and our GC28 process dynamics based on in-depth listening to the Young. Daily Eucharist was celebrated in the beautiful, newly built chapel of St Francis de Sales at the Sacred Heart (international) Novitiate. During five full days of the Provincial chapter the three nuclei of the GC28: Focus on the Young in need – Profile of the Salesians – Shared mission with the Lay people (mission partners) were reflected on, but also the presentation of each sector of Salesian life and mission in the province were shared (reports by the respective provincial delegates: Formation, Youth Ministry, Social Communication, Missionary Animation, Economy and Salesian Family). Thanks to the meticulous professional preparation of the Moderator and his team, the most welcome and inspirational were the first two days of sharing and deepening based on the survey - listening to our lay mission partners and to the youth. The PC 2019 delegates left home inspired by their voices and hope to take these insights into their daily life. 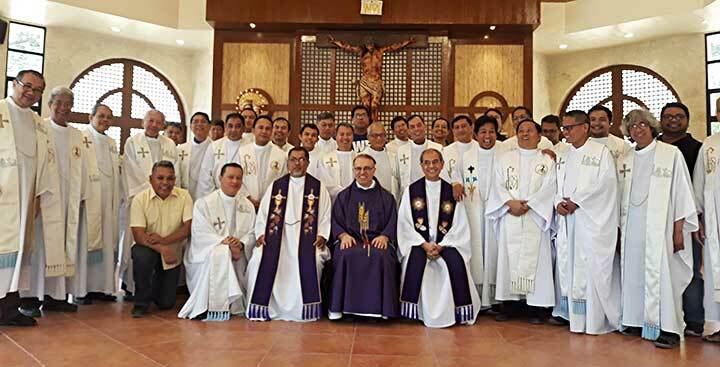 The 9th FIS provincial chapter concluded with the Eucharist on March 16 in the St Francis de Sales chapel in Lawaan, at which the EAO regional councillor, Fr Vaclav Klement, presided. He has been in the province for the Extraordinary visitation. The FIS provincial chapter is the third celebrated within the EAO region. Next week the Viceprovince of Myanmar will celebrate it's PC 2019 in Anisakan (March 25-30). 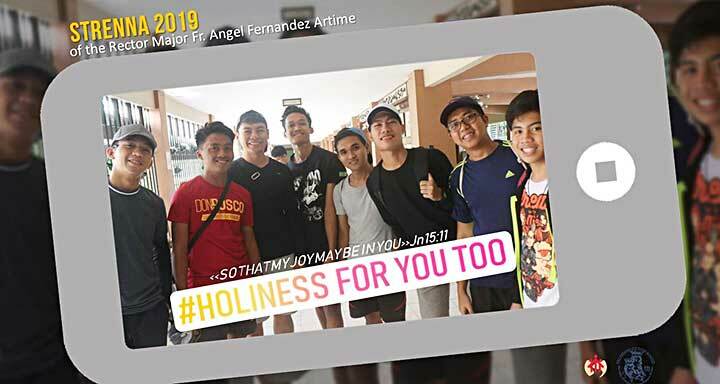 AustraLasia 4971 (II) What kind of Salesians for the young people of the EAO region?